Are you having problems with your pet or looking to connect with your pet? 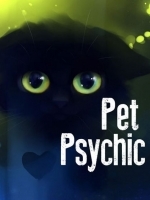 Real True Pet Psychic Reader show you the way to a better and more productive future. Describe your areas of expertise.Talking with animals to help you solve those problems at home or to deliver a message from one animal or pet that has crossed life into spiritual. Took an animal communication class and learned to listen to the pets inner spirit with guidance by being given the pets name and what kind of animal and birthday. I have traveled across USA & Canada and worked with many people with healing and personal mentoring. How long have you been aware of your abilities, and how have you developed them?Real True Pet Psychic Reader Anna is an incredible pet psychic with over 15 years experience helping pets and their owners around the world. Name some specific experiences where you've used your abilities.I grew up on a farm and others would notice my ability to communicate with animals. I have the ability of REMOTE VIEWING so that I could read your animals clearly, and understand what they are going through. Please be assured all the messages I receive come through God, and God alone. I do not use any tools! Just the gift given as God's eyes and ears. What can a caller expect from a consultation with you?I am an professional, experienced pet psychic. I have helped thousands of people over the years connect with pets that have crossed over. I can give you the answers that you want. I can put an end to your wondering and put you in contact with your pet again.